The milestone site is a Starbucks Reserve in Shenzhen, China. Marking a significant global milestone for the company, Starbucks celebrated the opening of its 30,000th store. 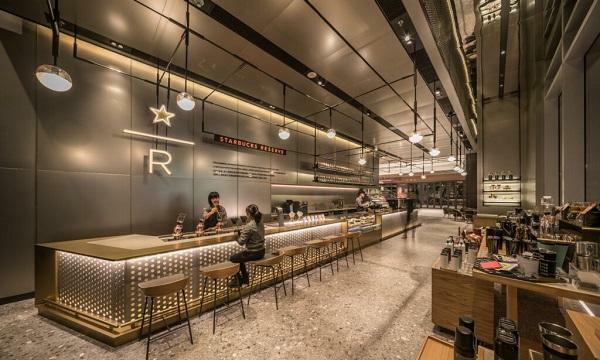 The milestone store is a Starbucks Reserve in Shenzhen, China as said to serve as a "tribute to the company’s coffee leadership around the world." “The opening of Starbucks 30,000th store is a proud moment for all Starbucks partners,” Starbucks president and CEO Kevin Johnson said. “Over the past 48 years we have worked to build a different kind of company based on a mission grounded in the human experience, the world’s finest coffees, and a constant of pursuit of doing good. Starbucks now serves more than 100 million customer occasions across 78 markets around the world." A few notable new stores for Starbucks include three new Reserve Roasteries that opened in Milan, New York and Tokyo, its coffee sanctuary in Bali, Indonesia, and the opening of their second signing store, located in Washington, D.C.